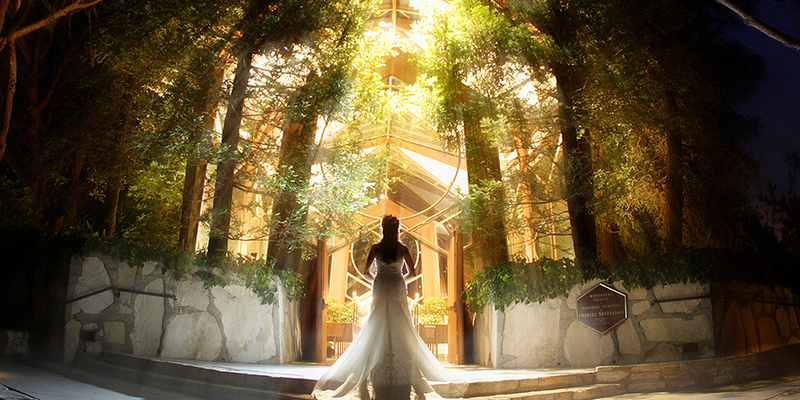 Imagine your wedding day in one of the most romantic and awe-inspiring places on earth – Wayfarers Chapel, also known as the “Tree Chapel”. 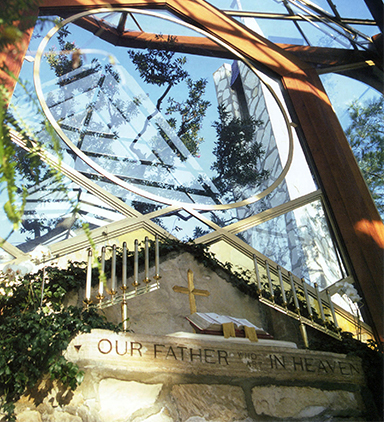 For more than sixty years, Wayfarers Chapel has welcomed couples from all religious backgrounds to celebrate their wedding in this natural sanctuary. 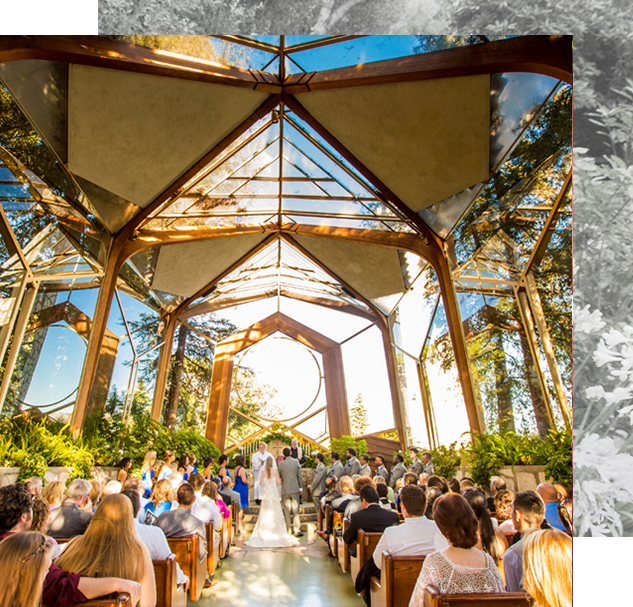 Designed by Lloyd Wright, the all glass sanctuary is nestled in a grove of towering redwood trees surrounded by 3.5 acres of beautifully landscaped lawns and gardens with a panoramic ocean view of the Pacific Ocean and Catalina Island. The exquisite Rose Garden forms a stunning background for wedding photography and videography. Evening ceremonies provide an enchanting candlelight atmosphere. The natural plantings inside the Chapel eliminate the need for added decorations. Music is played by the Chapel keyboardist or you may have The Chapel Musicians play, allowing you to choose a wide variety of music. Candles on the altar are lighted for your ceremony. Evening ceremonies have an additional candlelight option available. 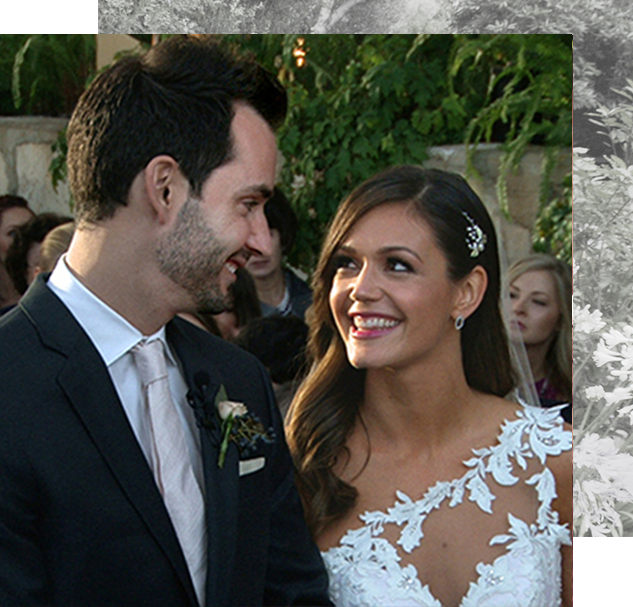 The Chapel’s wedding staff guides you from your initial contact through your wedding day including a planning conference, your rehearsal and the wedding ceremony. Your minister will meet with you to discuss your service. For additional wedding information see OUR WEDDING AT WAYFARERS CHAPEL. 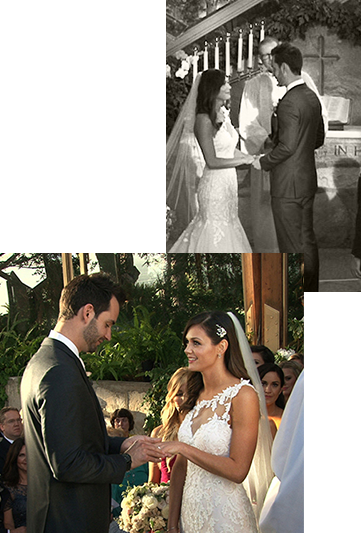 Take a closer look at various ways that couples have chosen to celebrate their special day at Wayfarers Chapel. The 10 most asked questions. 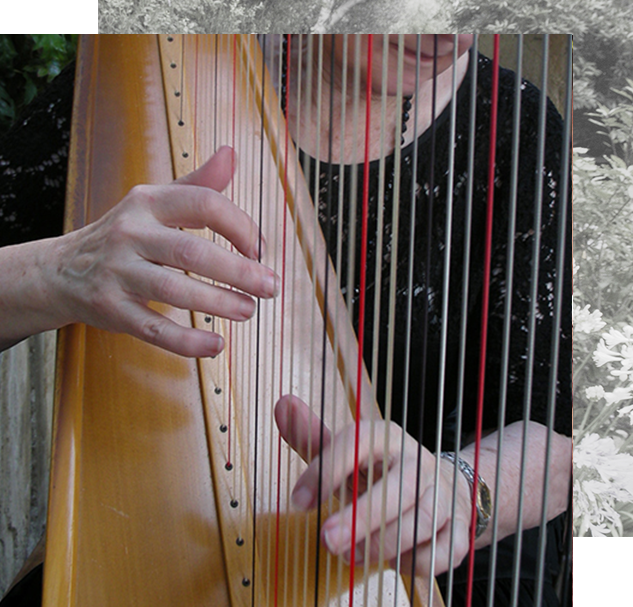 Wayfarers Chapel features some of the finest musicians in Southern California. 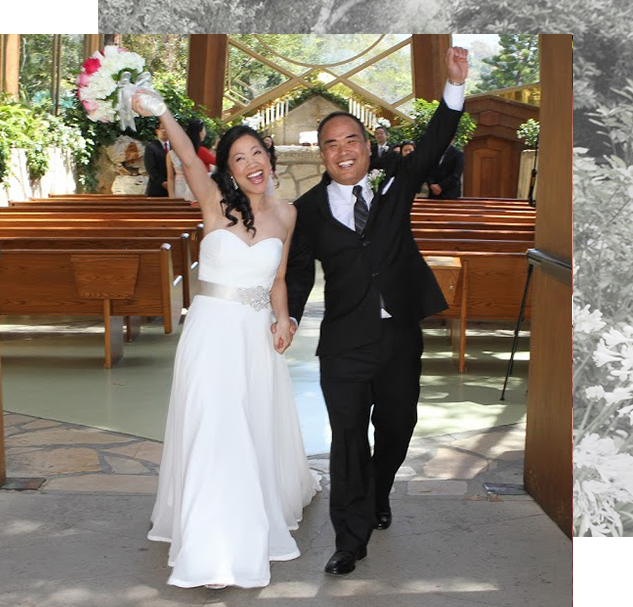 Wayfarers Chapel Video offers two wedding video packages, “The Ceremony” and “Arrival to Departure”, and the option to add Live Streaming to “The Ceremony”. We strongly recommend that you consider engaging one of our recommended photographers. Our photographers work well with staff. Their familiarity of the Chapel, grounds, lighting, and time frame allow them to take full advantage of this beautiful setting. You may hire any florist you wish for your personal flowers, such as bouquets and boutonieres. 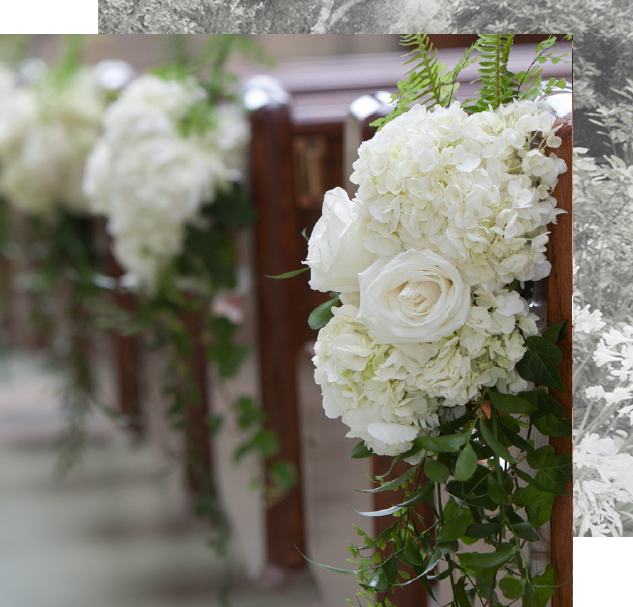 However, if you would like to add aisle/pew flowers, these must be designed and delivered by our Chapel Preferred Florist, and ordered through our Reservations Office.